Kansas�?? seasonally adjusted unemployment rate fell two-tenths of a percentage point to 4 percent last month �?? the lowest level in 14 years. Kansas Department of Labor figures released Friday show that November�? 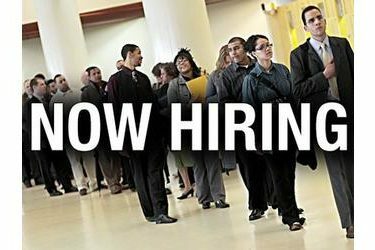 ?s jobless rate compared with 4.1 percent the previous month and 4.2 percent in November of last year. The department says that the adjusted figures show that while the state lost 2,800 private-sector jobs from October through November, the year-to-year number actually rose by 10,000, or nine-tenths of a percentage point. The state�? ?s jobless rate when not seasonally adjusted was 3.5 percent in November. That�? ?s down from 3.7 percent in October and 3.9 percent in November of last year. Nationwide, the federal Labor Department says jobless rates fell in 27 states and rose in 11.